It&#39;s here! Blog Out Loud Ottawa is tonight! It's here! Blog Out Loud Ottawa is tonight! 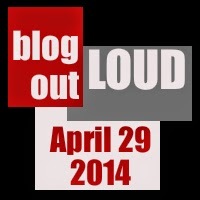 Remember last week when I was all: "Blog Out Loud is Coming! And it's at the Writer's Festival!"??? Yes, tonight you will get to hear a dozen local bloggers read from their posts in their own voices, and see some of the fantastic photos taken by some local phodo bloggers too. Just a reminder, we'll be at Knox Presbyterian (120 Lisgar at Elgin) from 6:30pm onwards. No tickets required although seating might be limited!